Four full fees scholarships will be awarded to four exceptional students who are able to demonstrate world class ability. There will be one scholarship for applicants to the MSc Accounting programmes, one for the MSc Finance discipline programmes, one for the MSc Economics discipline progammes and one for the MSc Management discipline programmes. 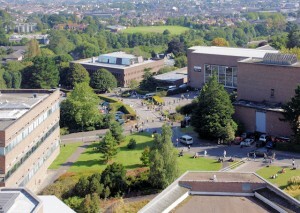 Please see The University of Exeter Business School website for which programmes come under which discipline. The Scholarships are competitive and require you to have an English language level of IELTS 7.5 or equivalent if from a non-anglophone country, and to submit an application form with a 1500 word essay on what you consider to be “The Most Challenging Aspects of Today’s Global Business Environment”. The World Class UK Scholarship (if a UK resident); The World Class EU Scholarship (if resident of Germany or Greece); the World Class International Scholarship (if resident of India, Indonesia, Malaysia, Thailand or USA) ) and the Thomson Reuters Scholarships if applying to one of our Finance programmes including the MSc Accounting and Finance. All scholarships awards are conditional on payment of the tuition deposit as specified in your offer letter and registration with the University of Exeter. Scholarships are not awarded in conjunction with other scholarships – in the event of you being eligible for more than one award the greater award will be given. The closing date for this scholarship is Sunday 30 March 2014. Applicants will be notified of the outcome no later than the 30 May 2014. Demikianlah informasi tentang The Exeter World Class Business Student Scholarship, University of Exeter, UK, semoga bermanfaat.